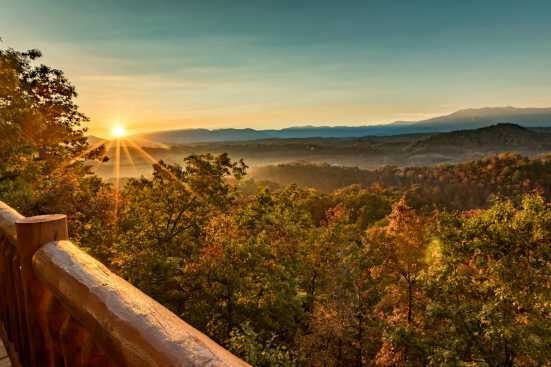 Welcome to the beautiful Bluff Ridge Estates located in Sevierville, Tennessee. The wonderful vacation destination is located on the Goosegap side of Bluff Mountain and is sure to offer guests of all ages a wonderful vacation experience. For the lovers of nature in your group, we at SMBYO.com suggest hiking on and around Bluff Mountain as well as visiting and the world famous Smoky Mountains National Park. If you love nature these hiking trails will not disappoint! Do you and your fellow vacationers want to spend a day shopping while vacationing? If so, check out the Tanger Outlets for great bargains or head to one of the many antique shops in the area. If your trip is more adult themed, consider touring one of the local moonshine distilleries or a local vineyard. Whether you choose to tour a distillery or a vineyard, don't forget about the best part of the tour: The Free Samples! With some many fun and exciting things to do in the area, guests are sure to have a magical vacation at the Bluff Ridge Estates! SmokyMountainsByOwners.com is the best and most efficient place to find, plan, and book your vacation rental property in Tennessee. From the spellbinding hiking trails to the plethora of shopping, guests are sure to have a blast!